Here is your free EFT self help protocol to help you overcome a fear of flying, anxiety and air travel, stress when flying on a plane or thinking about air travel or being on an airplane. Here is the self help sequence to use when you are working on your fear of flying in private. 1. Think about your fear of flying and focus on something specific about the whole subject that makes you feel especially unhappy. Please be sure to try this sequence on something that really feels bad - if there is no emotion, you cannot release it successfully. In the next section, there will be some pointers on how to formulate the right phrases to get started. 2. Find a phrase or a sentence that describes the problem succinctly and clearly to you. As an example, we'll use an imaginary person who described his feelings like this: "The very thought of air travel makes my stomach turn." This gives us what we call the "opening statement" - "Air travel makes my stomach turn." 3. Consider for a moment how bad this problem is, how bad does it make you feel? and give it a score from 0 - 10, 0 being no emotion at all and 10 being unbearably painful. This is important so we can judge later how much emotion was released. Repeat this opening statement three times in all, continuously rubbing the chest area just below the collar bone. In our example, the man would say, "Even though air travel makes my stomach turn, I deeply and profoundly love and accept myself". of your ring and little finger. In the example, the man would have tapped on the points and said on each one, "Air travel makes my stomach turn.". When you're all the way through, take a deep breath in and out. Wait for about 30 seconds, then say the original statement again and ask yourself to give a new rating on the 0 - 10 scale. If there is any emotion remaining, you do the sequence again, starting with a new set up statement which reflects the change, such as, "Even though there is some of this problem remaining, I deeply and profoundly accept myself". When there is only a little reminder, you can completely remove the rest of the emotion with this form of statement, "I want to get over this problem entirely, and I deeply and profoundly accept myself." - If you can remember the first time it happened, go through the memories of that event in your mind or tell the story out loud by yourself or with a friend. You can soon spot the statements and thoughts that cause you the greatest distress or emotional response. Tap on these until you can think/talk about these events and remain calm and focussed. - Sometimes, there are "triggers" in the environment you can use to treat fears before you get anywhere near an airplane. One lady used a television programme about planes and helicopters to begin her treatment, a gentleman used to feel nauseous when seeing planes in the sky. With one particular gentleman the fear began when he booked the ticket in the travel agent's office. - To make sure you have removed all your fears successfully, imagine going on a particular journey in detail, right from packing the bags to taking the taxi to the airport, to going through the doors and smelling that unique "airport" smell, to the waiting period, onto the plane, and imagine a bumpy ride in bad weather, even with people screaming, if you will. If at any time you become distressed or anxious, stop and tap on that "aspect" of your general fear of flying until you feel calm and it no longer bothers you. - Use the waiting time in airports to treat yourself surreptitiously, or go to the toilet and treat yourself where no-one can see you. 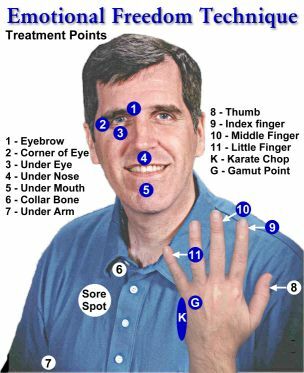 In public, you can just hold the points and take a deep breath on each one so no-one will ever know what you're up to. - After a short time, most people find they have "favourites" amongst the points in the list above, ie points that are more effective than others. Use these for shortcuts or in moments of panic. 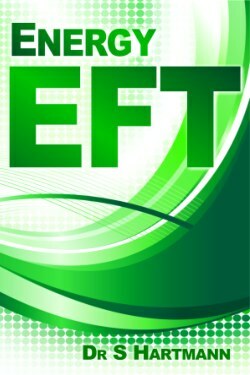 - You can use EFT very successfully to treat yourself for jet lag, too. See "Examples". - If your fear is really severe, you might need help from a Meridian Therapist to get you started. 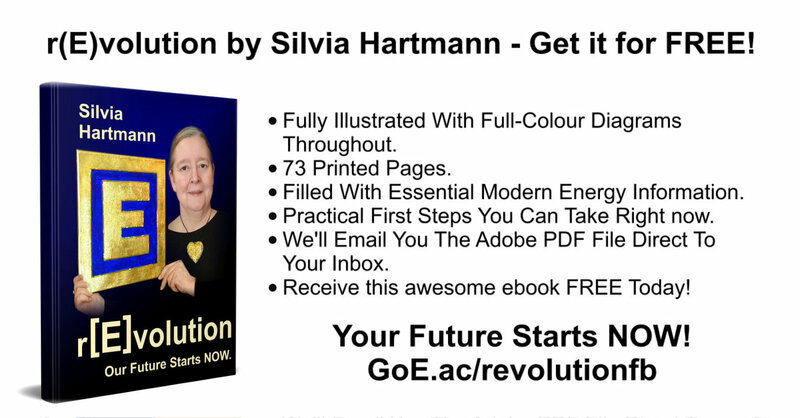 This can be done in person or over the telephone and is extremely successful. Please go to http://www.TheAMT.com to find outstanding practitioners who are versed in the problem and can help you.